Welcome to the Richter Library's Guide to Women and Gender Studies! 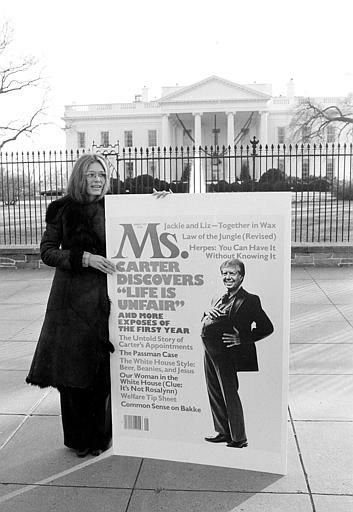 Gloria Steinem posing with Ms. magazine cover in 1977. Associated Press. Courtesy of AP Image Archive. Hello all, and welcome to the University of Miami Libraries' Guide to Women and Gender Studies! Throughout this guide, you'll find resources supporting the many aspects of Women and Gender Studies topics. Feel free to browse through the guide, make use of its resources, and if you need more help, Ask a Librarian! Bibliotheca Teubnerina Latina contains Latin texts from Antiquity and Late Antiquity, and from medieval and modern Latin. In addition, some one million new word forms have been added, mainly scholia and texts of grammarians, as well as the editions which have been published in print since 2005. Approximately 13 million word forms are now accessible electronically. This digital archive currently includes 150,000 pages of conference proceedings, reports of international women's organizations, publications and web pages of women's non-governmental organizations, and letters, diaries, and memoirs of women active internationally since the mid-nineteenth century. Looking for News but not Newspapers? Check out NBC Learn, an archive of history in video form. Need more News and Newspapers? 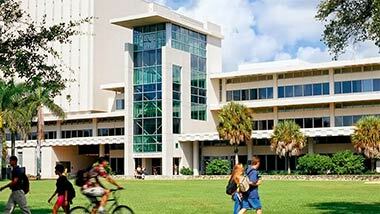 Check out the UM Libraries Guide to News and Newspapers! "The Center for American Women and Politics (CAWP), a unit of the Eagleton Institute of Politics at Rutgers, The State University of New Jersey, is nationally recognized as the leading source of scholarly research and current data about American womenâ€™s political participation. Its mission is to promote greater knowledge and understanding about women's participation in politics and government and to enhance women's influence and leadership in public life." Provided by the US Department of Labor, the Women's Bureau monitors the presence of women in the workforce and provides data and statistics. The University of Miami is committed to ensuring that lesbian, gay, bisexual, transgender, and queer/questioning (LGBTQ) students thrive in an environment that is safe, inclusive, and supportive of their academic and personal goals. Having a student population that is diverse in its range of sexual orientations, gender identities, and gender expressions enriches our campus with valuable ideas and insights. SpectrUM is University of Miami's largest undergraduate LGBTQ+ (lesbian, gay, bisexual, transgender, queer, questioning, and more) organization. Our mission is to foster pride through education, awareness, advocacy, involvement, and support. We have numerous meetings every week and our office is in the Shalala Student Center (SC), Room 210-K.
Over 2000 citations to internet and print sources: digital collections of primary sources, archival collections, bibliographies, and biographical sources. "The main purposes of this virtual library are to list women's history institutions and organizations, locate archival and library collections, and provide links to Internet resources on women's history. In addition, also included are a list of women's studies journals and a few comprehensive link collections useful as a starting point for searching the Internet for women's studies in general." "The Geek Feminism Wiki is intended to be a resource for women and other marginalized groups in geek communities, as well as a platform for discussion and documentation of the issues they face." "Guttmacher Institute continues to advance sexual and reproductive health and rights through an interrelated program of research, policy analysis and public education designed to generate new ideas, encourage enlightened public debate and promote sound policy and program development. The Instituteâ€™s overarching goal is to ensure the highest standard of sexual and reproductive health for all people worldwide." An extraordinary database of digital collections ranging from Arts & Literature to Nature & Science. "ClaraÂ® is a unique interactive database containing authoritative information on 18,000 women visual artists of all time periods and nationalities." Early English Books Online (EEBO) contains page images of virtually every work printed in England, Ireland, Scotland, Wales and British North America and works in English printed elsewhere from 1473–1700. From the first book published in English through the age of Spenser and Shakespeare, this incomparable collection contains more than 130,000 titles and more than 17 million scanned pages as listed in 4 collections - Pollard & Redgrave's Short-Title Catalogue (1475-1640) and Wing's Short-Title Catalogue (1641-1700) and their revised editions, as well as the Thomason Tracts (1640-1661) collection and the Early English Books Tract Supplement. EEBO covers more than 30 languages from Algonquin to Welsh, and variant editions and multiple copies. Women Writers Online is a full-text collection of early womens writing in English, published by the Women Writers Project at Northeastern University. It includes full transcriptions of texts published between 1526 and 1850, focusing on materials that are rare or inaccessible. "The Victorian Women Writers Project (VWWP) began in 1995 at Indiana University and is primarily concerned with the exposure of lesser-known British women writers of the 19th century. The collection represents an array of genres - poetry, novels, children's books, political pamphlets, religious tracts, histories, and more. VWWP contains scores of authors, both prolific and rare."